Good Morning Honeybees and Fans! This week started off with a bang! David’s Holiday Tour started off with his first concert on the 24th in Salt Lake City with a double dose of Archuleta, as the following night he blessed us with another great concert. Magical was the concert on the 24th and on the 25th he showed us no mercy! Everyone in the auditorium had tears in their eyes. Men, as well as women, children, teenagers—we all felt the spiritual and emotional side to every song he sang. He threw in a couple of new ones he had not done before and they were beautiful. The duet with his mother Lupe was one of the tender moments on stage. The love and pride he has for his mother and visa versa just sparkled on stage. If every son looked at their mother the way David did Lupe you would never have to wonder if your son loved you. It was a special moment for both of them and all of us in the audience. David’s vocals were right on and he set the bar higher and higher for anyone to top these two performances. His “O Holy Night” was amazing and the second night he sang it we all just sat there with our mouths open wide just stunned. We left with those tears in our eyes as I said, but we found it hard to explain why we were so moved! We all agreed it was that David was just so good and I mean great! He blew us away!! He grabbed our souls and did not let go until he told us each story of every song with his beautiful voice. We sat in obedience and took in every nuance he gave us in song and held our breath until the next one. You have to go see David in this special Holiday Tour as he has mastered the live concert concept. The week continues with wonderful reviews, twitters, videos and many other interesting events. Especially his performance at the Kaleidoscope on Thanksgiving Day! I will be attending his Santa Rosa Concert this Sunday November 29th and I hope to see many of you there. Have a great week and don’t forget to gift to family and friends Christmas from the Heart! The former “American Idol” runner-up sings those songs and more on his new holiday CD Christmas from the Heart. There’s a plethora of holiday music out there with musicians recording holiday music just because, but Archuleta’s recording makes sense. He’s got a powerful, soulful voice that’s beyond his years. If you’re looking to add to your holiday music collection or get into the spirit of the season, this CD is a good choice. In 2007, 16-year-old David Archuleta became one of the youngest contestants to compete on the TV talent competition “American Idol,” winding up as runner-up to David Cook after receiving 44 percent of over 97 million votes. David Archuleta’s self-titled album was released in late 2008, he’s toured the country with the “Idol” cast and, in September, won the Year in Music’s Rising Male Star Award at the American Latino Media Arts Awards. Besides his new “Christmas From the Heart” CD — a collection of holiday favorites such as “Silent Night” and “Ave Maria” — he’s writing songs for a new pop CD to be released next year. He spoke by phone to AnnArbor.com writer Roger LeLievre recently in advance of his Friday night concert at Hill Auditorium with the Ann Arbor Symphony Orchestra. Q: Where are you this morning? A: I’m in Southern California, eating some cereal. It’s Kashi, and I’ve mixed it in with some golden flax. Q: How you are feeling about performing with a full symphony? Is this a first for you? A: I’m excited. I’ve been able to perform with a symphony before, but never Christmas music and never a whole entire show like this. … It’s so amazing to see how so many people come together and make a song. It really makes such a huge difference and makes it so much greater. It’s really neat. Q: How do you prepare? You’re there, the orchestra is here. A: There isn’t a whole lot of time to rehearse it. The songs I already know, and I will have a little bit of time to go through them with the orchestra. I’m really excited to hear the arrangements. (The songs) are going to be coming to life performed with a live orchestra and that’s really exciting for me and I am really happy to be able to be able to get to do it. Q: How has life been since ‘Idol?’ Are things less of a whirl, or more? A: It hasn’t really stopped. ‘American Idol’ was just a year ago, so much has happened since then. I can’t believe I went through that and all the extremes I had, from the beginning of those auditions where I wasn’t sure what was going to happen to now, having released an album last year and now the Christmas album and Christmas tour. It’s like, wow — I did not think I would have moved this much since last year. It’s just crazy. I didn’t think I would be going on tour this year and performing and getting to work on music and a Christmas album over the summer, which is kind of funny, working on a Christmas album in the summer. It’s made Christmas last a lot longer this year. It’s just go, go, go but it’s nice. I’m productive with myself and that’s a good feeling. Q: Tell me more about the Christmas CD. A: This is my Christmas gift to all the fans. I wanted to keep it really heartfelt and share what I feel is important about Christmas. It’s my favorite holiday first of all, and Christ’s birth is really important to me, and just that whole thing of celebrating that and celebrating his life is really special. … It’s really neat to see the (Christmas album) come out now. I spent all summer working on this, I know what goes on with the details, and later it’s out on CD and people are listening to it. It’s so cool to think about that — they’re listening to what I’ve been working on all summer. I want people to leave with that whole spirit of Christmas and keep that with them after the show. Q: Do you still tour with the ‘Idol’ folks? A: I’ve been doing my own stuff, pretty much. We did the ‘American Idol’ tour last year, after that I’ve just done my own thing. I did a couple of shows with (winner) David Cook, there was one real cool show we did in Manila in the Philippines. It was great being able to perform with David Cook and go to the Philippines for the first time. Q: What’s next for you when the tour is done? Do you have another pop CD in the works? A: Yeah, that’s actually why I’m in L.A. right now. I’ve been writing a lot and traveling around, working in different places and working with different writers. It’s been a challenge trying to work on my own songwriting. It’s something I’ve always wanted to get better at doing and do more of. … When you’re part of a song’s creation, your personality comes into it and you have all that more of a connection to it. It’s just been great. Q: Do you have a release date in mind? A: No (he laughs). Right now the main focus is the Christmas tour. Q: Will you be just playing Christmas music at the Ann Arbor concert? A: I’ll have a few of the pop songs I’ll be adding to the show but it will mainly be about the Christmas music. Q: It must be hard, touring over Thanksgiving. Is your family coming with you? A: They’re not. I’ll have my band, crew and tour manager. Q: Since it’s a Thanksgiving show, what are you thankful for this time of year? A: I just have to be thankful for everything I’ve been able to experience. I owe that to God because I really feel like he’s been able to let me do all this. I am so thankful for that. I wouldn’t be here without him. … Another thing is family, for sure. Family and friends are so important, and they’re the ones who keep you sane. They let you know there is someone there for you and people care for you. Happy holidays! My “Christmas From the Heart” tour kicks off tomorrow at the Abravanel Hall in Salt Lake City. And I’m so excited, you guys. This really, uh, makes me nervous, but I’m still really excited at the same time. But I hope to see you guys in one of the cities along the WAY-AY-AY-AY-AYYYYY! See ya. Regardless of David Archuleta’s performance Tuesday night at Abravanel Hall, the tweens and teenagers in the audience would still have shrieked and squealed in delight every time the 18-year-old Murray pop singer sang a note. Archuleta, who turns 19 at the end of December, ably balanced a show that showcased his pop talent as well as a strong display of covering other’s material — most notably a collection of Christmas standards that closed the show. While the show was advertised as Archuleta performing selections from his recently released album, “Christmas From the Heart,” the singer began his set with songs taken mostly from his 2008 debut self-titled album. With more confidence and stage presence than he has shown yet, he flexed his vocals through “Crush” and “A Little Too Not Over You” as well as performing his up-tempo rave-up “Zero Gravity.” Archuleta was backed by four musicians, but played piano as he covered Five For Fighting’s ballad “The Riddle,” showing an inkling of a direction his career could take him. Illustrating a talent for building a solid, thematic set, Archuleta then performed two songs that served as a transition between his opening set and his closing set of Christmas tunes. The highlight was when he was accompanied only by an acoustic guitar, singing a rendition of Sting’s “Fields of Gold” that changed the vocal melody to make the song his soulful own. It was then time for the main show to start. The curtains pulled back to reveal about a dozen string players along with two guitarists, a bassist and a drummer. With dramatic on-stage lighting illuminating three conical Christmas trees and four ornamental baubles hanging from the rafters, Archuleta came out in a jet-black suit and immediately got going with “Melodies of Christmas,” a new song he said he helped write. The show was not short on surprises. After starting was seemed to be a somnambulant rendition of “Have Yourself a Merry Little Christmas,” his mother Lupe joined him to duet, turning a sluggish retread into a poignant refrain. And during a stirring, reverent version of “Ave Maria,” Archuleta was joined on stage by a white-robed children’s choir as well as on piano, local composer Kurt Bestor, who produced and conducted many songs on Archuleta’s holiday album. Whether singing in English, Latin (as on “Ave Maria”) or French (as on Bestor’s galloping arrangement of “Pat-a-Pan”), Archuleta showed not only a command of the material but an ability to connect with the audience with self-deprecating humor and sheepish but endearing half-waves to the crowd, which nearly sold out the symphony hall. What was most impressive about the concert was that Archuleta and his team relied not on slick, overly produced Christmas music that would dull the experience, but on a real string section and a lean, stripped-down soft-rock sound that shows an authenticity to the teen, who is turning into a man in front of our eyes. Los Angeles, CA (CNS) – David Archuleta is currently on tour promoting his new Christmas album, Christmas from the Heart, and he got a little help from family. His mother Lupe joined him on stage for a duet. During Tuesday night’s show, Archuleta brought out his mom for the song “Have Yourself a Merry Little Christmas.” A video, now available on YouTube, shows that Archuleta’s vocal chops run in the family. She even planted a kiss on the cheek when they hit the stage. 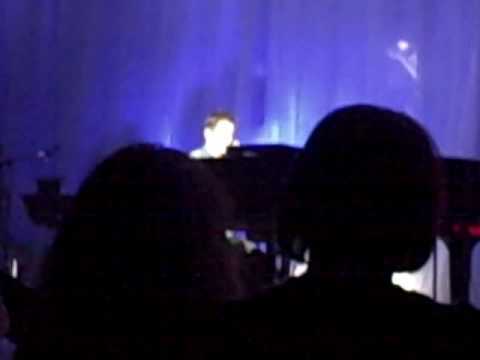 The performance left Archuleta’s mother emotional, nearly in tears by the end. “Have Yourself a Merry Little Christmas” appears on his album as a duet with Charice Pempengco. Christmas from the Heart also includes the American Idol runner-up’s renditions of classics like “Joy to the World,” “O Holy Night,” and “I’ll Be Home for Christmas.” The disc’s sole original track, “Melodies of Christmas,” was co-written by Archuleta. David Archuleta’s Winter tour continues on through December 20th when it wraps up at the Capital One Bank Theater in Westbury, NY. DavidArchie – My voice is a little worn out. It was fine until I had a bunch of convos last night lol. Will take it easy in rehearsals today! DavidArchie – The ground is all white, covered in snow. DavidArchie – Rehearsing the day before the first shows in Salt Lake! So excited for the 2 hometown shows! Anyone coming to Abravanel Hall?? DavidArchie – Done rehearsing for today! Feel a lot better about everything now. Show starts in less than 23 hours! DavidArchie – Today’s the first show of the Christmas tour at Abravanel Hall in Salt Lake!!! So excited!! 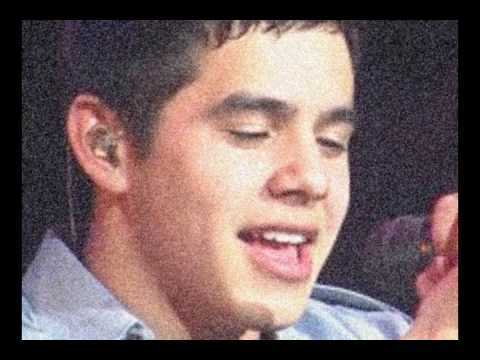 DavidArchie – Ah!! I had such an awesome time this first night!!! Thanks so much you guys for coming to the first show!!!! DavidArchie – Ah I just feel really good right now. Thanks again everyone who made tonight such a great night!! Can’t wait for tomorrow night! DavidArchie – Thanks! And good night to everyone! DavidArchie – Day 2 of the Salt Lake shows. So excited! Gonna make sure I rest up the voice though. DavidArchie – Feeling really nervous for some reason! Bah! haha. Can’t wait to perform though! Finished with soundcheck and I Love All Access meet and greet. Voice is a little tired haha, but I’m sooo excited for tonight! DavidArchie – Tonight I had a bit of a challenge…Haha. But still so glad I got to perform again in Utah! Thanks so much everyone for coming! DavidArchie – Awesome spending time with the family. Ugh I don’t wanna leave tomorrow l0l. DavidArchie – Happy Thanksgiving everyone!! Leaving home and catching a flight nice and early unfortunately. DavidArchie – Oh my heck! This is the coldest airplane I’ve every been on! Hello freezing! DavidArchie – Oh! by the way, my performances on Kaleioscope airs today on Fox! Hope you guys can catch it! DavidArchie – Had a great Thanksgiving meal here in Ann Arbor, Michigan! So thankful for being able to spend time with great people. DavidArchie – So grateful to have my family. As time goes on I just realize even more how glad I am to have them. Goodnight! DavidArchie – Ann Arbor, Michigan show! I’ll be performing with the Ann Arbor Symphyony Orchestra tonight at the Hill Auditorium! Anyone coming??? Finished rehearsing with the orchestra. So crazy having so many people involved in creating the music! Haha. Intermission! Wow! Performing an orchestral arrangement of Crush was so cool!! That was so cool! Thank you Ann Arbor Symphony Orchestra for the incredible experience! I hope all of you who came enjoyed!! Leaving Ann Arbor early this morning. Had such a great time here! New Song: David sings “Fields of Gold”! Fantastic Video with Great Sound! David, you amaze us, you know how to pick songs with such meaning! David Archuleta’s third Christmas from the Heart concert tour is going to be in Ann Arbor’s Hill Auditorium this Friday. I can’t wait to attend this exciting concert. Unlike any other show on the tour, Archuleta will be singing along with a full symphony and it is bound to be beautiful. On Oct. 13, Archuleta released his first Christmas album, Christmas from the Heart. It is filled with many traditional carols as well as a few foreign jingles and one original Christmas tune. Since the release, sales have been continually increasing week by week. Just last week, according to USA Today’s Idol Chatter, sales have made a huge jump and increased by 83 percent. Sales are predicted to continue rising as we get closer to the holidays. Last evening, Archuleta kicked off the tour in his hometown, Salt Lake City, Utah. 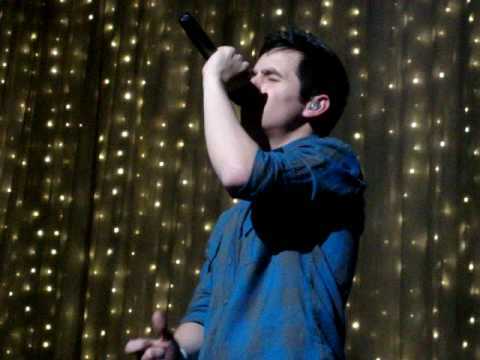 The show was split into two section – first Archuleta sang a couple pop songs and in the other section of the concert, he sang songs from his new Christmas album. During his pop section of the concert, Archuleta sang a few songs from his own debut album (released in November 2008) as well as songs like, “The Riddle” by Five for Fighting and his own rendition of “Fields of Gold” by Sting. The show on Friday is going to be exciting, original concert that shouldn’t be missed! Just select your song and difficulty to practice. You can post your top scores to the scoreboard or share with your friends via email. You might best remember David Archuleta as the wonder kid that became the youngest ever American Idol contestant in 2007. After finishing as a runner up to David Cook, Archuleta went off to make make it big (and grab a slew of Teen Choice Awards along the way). Archuleta and his dreamy voice will be performing songs from his self-titled 2008 album at the Grove of Anaheim. Remember: Safety first! Bring a friend so you can swoon in shifts. David Archuleta fans vote online to see who loves him the most. The fact that David Archuleta has many very enthusiastic, very loyal, and very active fans is not news. What is new, however, is the fact that David Archuleta fans are facing each other in a voting competition to see who loves him the most. Through a Twitter application, fans of David Archuleta are now able to nominate themselves in the competition and collect enough votes to be crowned as the fan who loves him the most. And this is not a game, it seems, as the fan in first place has close to 2000 votes. The contest ends in 13 days and 9 hours from the time this article was being published. Entries can be submitted at any time and votes entered every 20 minutes. And, as stated on the site, “The winner & top 25 will be immortalized on the Vote Wall of Fame.” Also, “The final order of all contestants will be listed forever as honorable mentions. That way, David Archuleta and his legion of fans will know who loves him the most, or who has the most time to enter votes. Are you a fan of David Archuleta? Reminder for Those Attending SLC Shows! Pre-Concert Party at The Lion House at Temple Square! By the time most of you read this, I will be on my way to SLC. This is a dream come true for me as I’m sure it is for all of you. To hear David live is always a treat, but to hear him sing Christmas hymns will be as close to heaven as we are likely to get in our life times. For those of you going to the concerts in SLC, may I suggest that we, who have them, try to always wear our FOD buttons? It will be easier to recognize each other. For those attending the FOD Breakfast at The Lion House, I am posting the details one last time. When: Wednesday, November 25th at 10:00 AM – Please try to be punctual as we only have the rooms for 2 hours and we have much planned. Richard was in the chat room last night and informed us that we will not be allowed to video tape him performing because the songs he will be singing were co-written with others. I’m sure that everyone will respect his wishes. I guess that’s about it. Everyone please have a safe trip and I’ll see you in SLC! This story from Holly S.
Last Thursday my sister and I took our annual before-Christmas shopping trip to the outlet mall. It’s about an hour away and it was my turn to drive. Now, she has been one of the eye rollers about my “David” stuff. The only season of AI she has watched was #7. She was a Cook fan and always said she didn’t like to watch our David sing. It bugged her. I know, she’s out of her mind. There’s nothing better than watching David sing, well listening. Anyway, I wanted to somehow sneak in playing CFTH on our trip. She took French in high school and college so I printed out the words to Pat-a-pan and on our way home I asked her to help me learn the French words. I played the song a few times and she told me the correct pronunciations. She then said that it was a cool song so I left the cd on the rest of the way home and a few times she commented that it was a really good cd and she’d have to buy one. (Of course there was one in her mailbox the next day). I was then telling her how he was singing with the Ann Arbor symphony next Friday and I was hoping to go, but wasn’t sure if it would work out. She then said, “I’D LOVE TO GO WITH YOU!” No way, she wants to go to a David Archuleta concert?????? Are pigs flying? Is heck freezing over? Omigosh, if she could see him live she would LOVE him! After I dropped her off at her house that day I screamed in my car. After some schedule rearranging and quick planning we are now going to the concert in Ann Arbor. My cousin and daughter are also going. This is my daughter’s 4th concert, but this will be the first for my sister and cousin. I am so excited to share David with them. After Friday I think my sister’s eyes will be wide open with amazement, not rolling any longer! Shy Boy? Not so much anymore! – But this is a real cute video! I thought all Honeybees and Fans would enjoy this tribute to David! Former “American Idol” judge Paula Abdul thinks she’d make a great talk show host. Hmmm. On Monday, Paula Abdul espoused her various talk-show host qualifications to Extra. Zap2it would like to provide our own commentary about the Paula-speak. “I have really great ideas,” Paula Abdul says, and she hopes to do a talk show in the next two to three years. This particular video of David singing “Prayer of the Children” was so beautiful it is difficult to describe. The emotions David put into a song is lovely but the audience that night listening on the edge of our seats is what captures the tenderness in our hearts. He brings the meaning of the song to the surface so all can share in his heartfelt rendition. 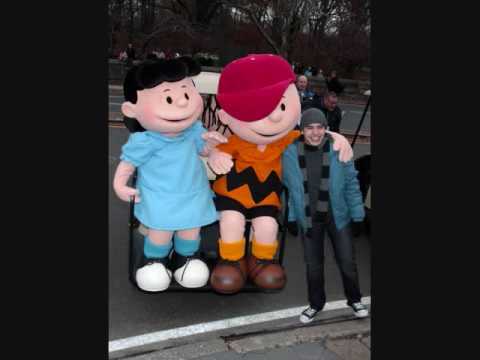 DA Weekly Buzz about David Archuleta! Enjoy the rest of the Xmas Shows.